Do you love your Mt. Washington and Southside home and see its potential to be your dream home with an addition or remodel? Often times, you fall in love with an area or neighborhood, but every facet of your home may not serve your lifestyle needs. The thought of remodeling your home can be intimidating for any Mt. Washington or Southside homeowner. At Action Builders, transforming your home is our specialty. We have been servicing Pittsburg area homeowners for over 30 years and can get the job done—relieving homeowners of stress and intimidation. Our expert team can design and transform your home into a space your family will be comfortable in, while enjoying the neighbors and surroundings you’re used to—for years to come! 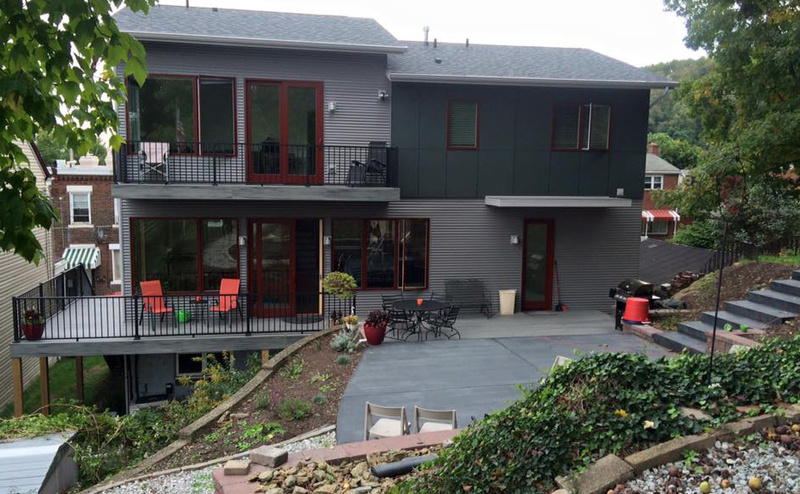 We love providing Mt Washington and Southside homeowners with stunning home additions. Whether it’s a kitchen, bathroom, living room or bedroom in need of more space, our team knows how to take your ideas and turn them into livable, beautiful home additions. At Action Builders, we specialize in structural changes and whole home renovations. We desire what you desire, which is a stunning home that fits all of your lifestyle needs. By allowing our team to create a beautiful design and bringing that remodel to life, you can love your home once again. The Mt. Washington/ Southside region is well-known for its panoramic views boasting lush landscapes, a grand mountain, the Monongahela River, hiking trails and a view of the Pittsburgh skyline, making it a great place to live. With unmatched views, this region also boats the greatest variety of housing opportunities in Pittsburgh—historical homes, designer builds, condos, apartments and more. The delightful community contains two historic inclines, the Duquesne and Monongahela. While these are used for locals to commute to work as well as down town, families and residents can ride the inclines and enjoy the Pittsburgh views. The Mt. Washington/ Southside area hosts a variety of public, private and charter schools. South Side’s elementary, middle school and high school provide kids with excellent teachers and great faculties for learning and activities, while also remaining extremely safe. Mt. Washington/ Southside houses Pittsburgh’s “Restaurant Row,” which has plenty of delicious options to enjoy while overlooking what is ranked as the second most beautiful view in America. The area also has immaculate hiking trails and Emerald View Park. And residents can enjoy the Point of View statue on the mountain’s western edge. It’s time to love your Mt. Washington/ Southside home again. Contact us to get started on your perfect addition or remodel!